The Wyoming volleyball team was picked to finish second in the 2018 MW Preseason Coaches’ Poll, the conference announced Wednesday. The Brown and Gold finished second in the Mountain West last season—its highest finish as a member of the MW—behind a 12-6 conference record and a 17-14 overall mark. Selected to the National Invitational Volleyball Championship (NIVC), the Cowgirls competed in postseason play for the first time since 1994. Head coach Chad Callihan returns nine letterwinners from his 2017 squad. Among those returners are all six starters, including the libero, from a season ago. The Cowgirls finished with 91 points in the poll, just nine behind the favorite Colorado State and 16 ahead of projected third-place finishers Boise State and San Diego State. 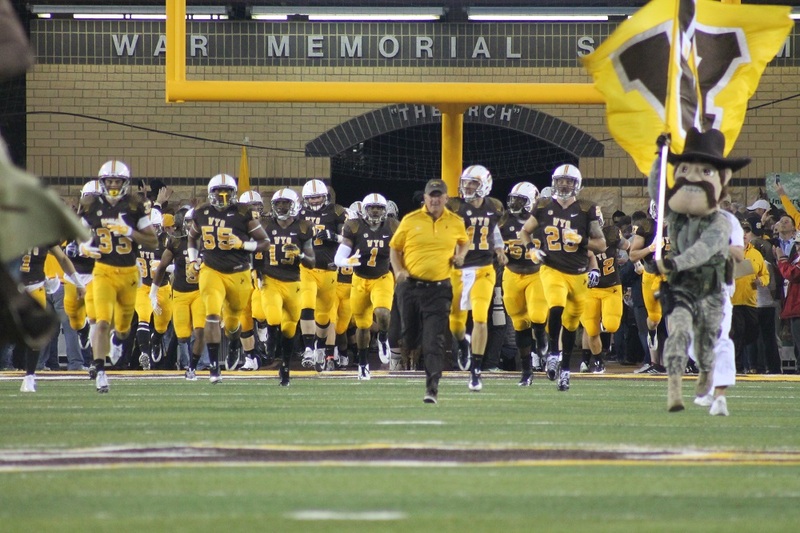 Wyoming also received a first-place vote in the poll, standing as the only other team outside of Colorado State to earn a first-place selection. New Mexico rounds out the poll’s top five with 59 votes, followed by San Jose State (56), Fresno State (39), Air Force (31), Utah State (31), Nevada (25) and UNLV (23). Colorado State junior Katie Oleksak was selected as the MW Preseason Player of the Year. Wyoming will travel to Greeley, Colo., this Friday for an exhibition showdown at Northern Colorado, but Cowgirl fans can get their first in-person look at the team the following day at the annual Brown and Gold Scrimmage. The scrimmage is set for 6:30 p.m. MT in the UW Arena-Auditorium. It will be free and open to the public. UW will play 15 matches in Laramie, including nine MW matches. Additionally, UW will host two non-conference tournaments, the aforementioned Rumble in the Rockies (Aug. 24-25) and UniWyo Invite (Sept. 7-8).